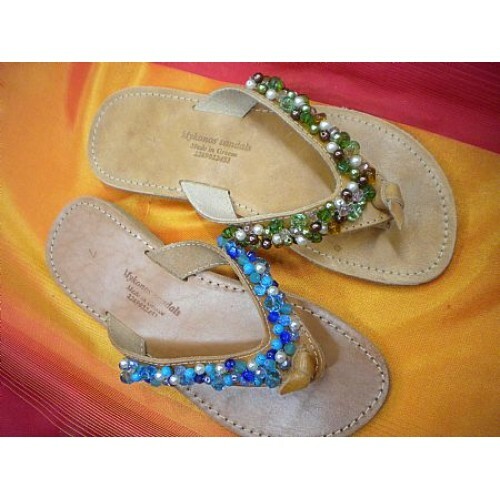 Blue or Honey Beads and Crystals set on a Kombaki (Knot) Classic Greek Sandal. They are handmade by us in Greece with authentic traditional natural Vachetta leather, used in Greek sandal making since ancient times. It darkens naturally with age and wear becoming a gorgeous dark honey colour.